How to watch Back to the Future (1985) on Netflix Singapore! Sorry, Back to the Future is not available on Singaporean Netflix, but you can unlock it right now in Singapore and start watching! With a few simple steps you can change your Netflix region to a country like Panama and start watching Panamanian Netflix, which includes Back to the Future. We'll keep checking Netflix Singapore for Back to the Future, and this page will be updated with any changes. Back to the Future is not available in Singapore BUT it can be unlocked and viewed! Eccentric inventor Doc Brown turns a DeLorean into a time machine that inadvertently sends his young friend, Marty McFly, 30 years into the past. Now that he's in the past, his future may be over. He has to play cupid for Mom and Dad if he wants to get back home. There is a way to watch Back to the Future in Singapore, even though it isn't currently available on Netflix locally. What you need is a system that lets you change your Netflix country. 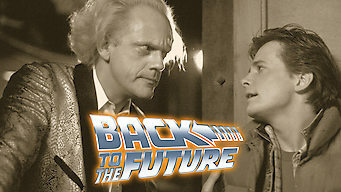 With a few simple steps you can be watching Back to the Future and thousands of other titles! Watch "Back to the Future"